With these bright and attractive 10-part Mylar-reinforced index dividers, you can start to get a handle on all those odd papers that get left lying around. 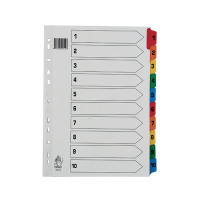 Each divider is made from sturdy manilla, and the multi-coloured tabs are Mylar-coated for long-lasting durability and pre-printed 1-10 - great for tidy numerical filing. 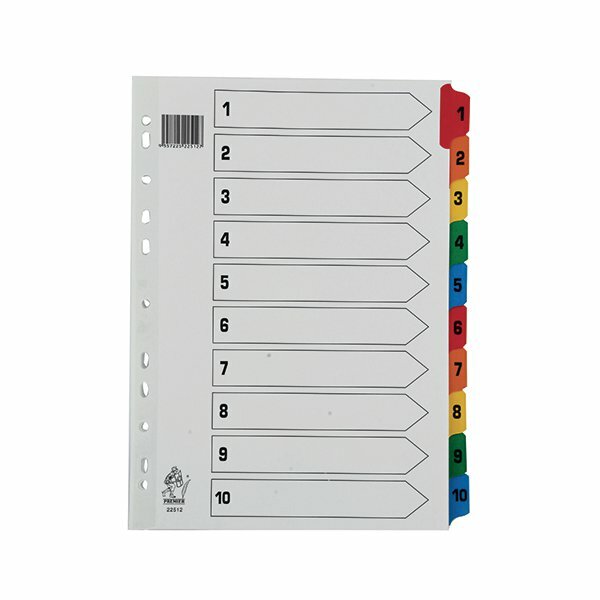 They're multi-punched to fit almost any A4 ring binder or lever arch file.